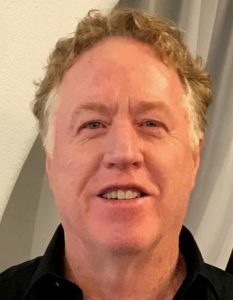 Brian has been a licensed health care professional since 1976 having graduated from three schools for massage and body work studies in Florida in the late seventies. His career and personal development has involved on-going studies in holistic or mind-body-spirit approaches. After completing studies and initiation in meditation from various disciplines he moved on to the study of Body Centered Psychotherapy utilizing principals of Buddhism, Taoism, non-violence and unity with his healing and counseling work. In 1992 Brian returned to Seattle to continue studies in hypnosis, meditation and Alphabiotics, an off-shoot of chiropractic medicine which works specifically with the synchronization of the left and right brain hemispheres. During the next ten years Brian maintained a busy Alphabiotic Alignment practice and continued studies in nutrition, Contact Reflex Analysis and Bija Meditation which included visits to the Far East where he was initiated as a Babaji Bija Meditation Initiate with the Council of Light. Also during this period he facilitated study groups in A Course in Miracles and conducted over one thousand ceremonies which included weddings, christenings, memorials and meditation initiations. Today Brian maintains the Lifeseed wellness practice, and conducts a weekly meditation and Lifeseed development circle.